Polish lawyer; born at Hrubieszow, government of Lublin, 1846; (died 1896; graduate of the University of Warsaw. 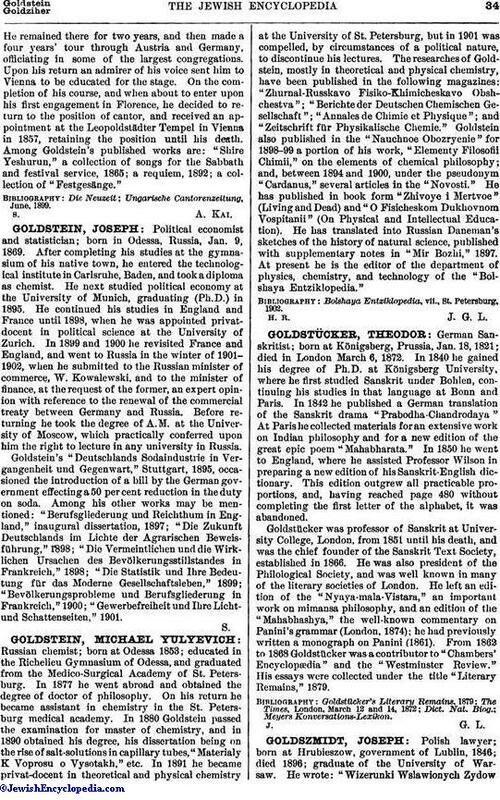 He wrote: "Wizerunki Wslawionych ZydowXIX Wieku," sketches of famous Jews of the nineteenth century (Warsaw, 1867-68); a biography of Lukasz Koncewicz, in "Tygodnik Illustrowany"; a commentary on Talmudic law, under the title "Wyklad Prawa Rozwodowego Podlug Ustaw Mojzeszowo-Talmudycznych" (ib. 1870); an essay on the last days of the Jews in Spain, under the title "Ostatnie dni Pobytu, Zydow w Hiszpanji" (ib. 1869); an essay on marriage according to law and custom, under the title "O Malzenstwie pod Wzgledem Prawnym i Obyczajawym" (ib. 1874). 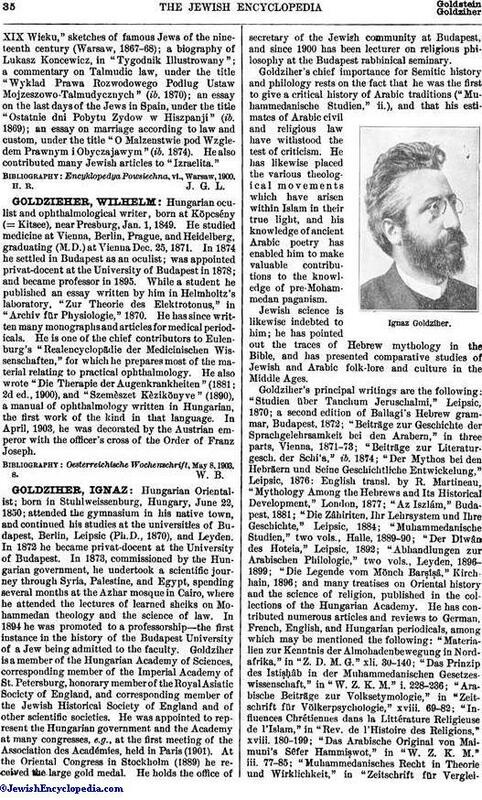 He also contributed many Jewish articles to "Izraelita." Encyklopedya Powsiechna, vi., Warsaw, 1900.